Venom is a character in the Marvel Universe who has acted as both a hero and a villain. 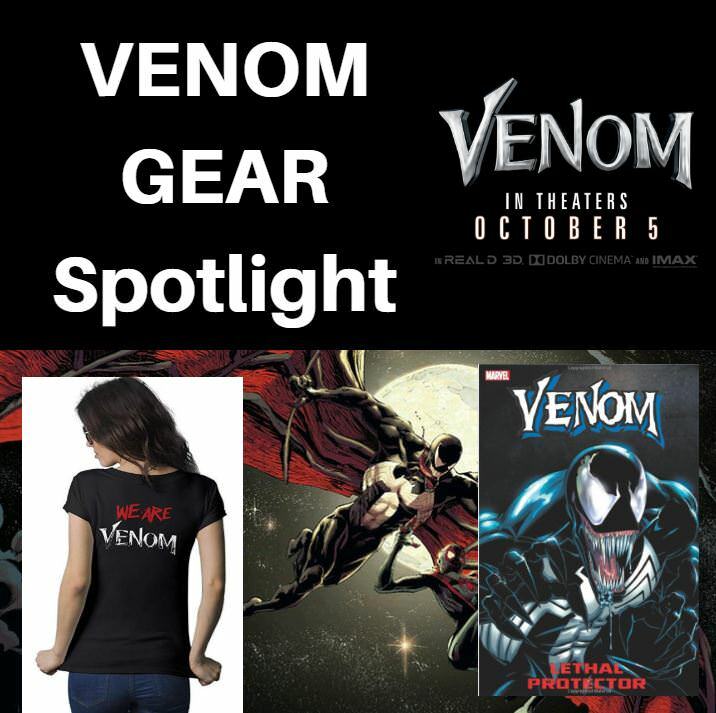 Generally, the name Venom refers to anyone wearing the black Venom alien symbiote. Venom was the primary antagonist of Spider-Man throughout the 90s but has since become a hero. 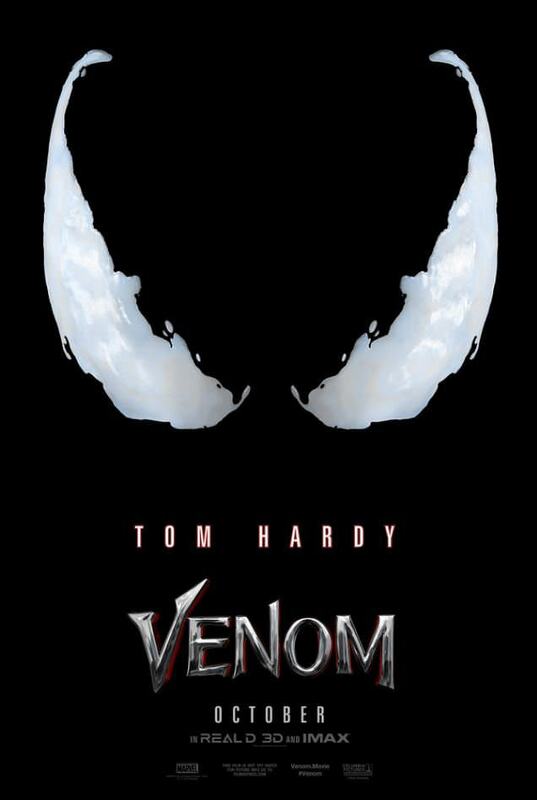 SONY has announced a Venom motion picture that will star Tom Hardy as the Eddie Brock version of Venom. It is unclear if SONY's Venom will part of MCU but it will connect with Spider-Man: Homecoming. Actor Topher Grace played Venom in the film Spider-Man 3. 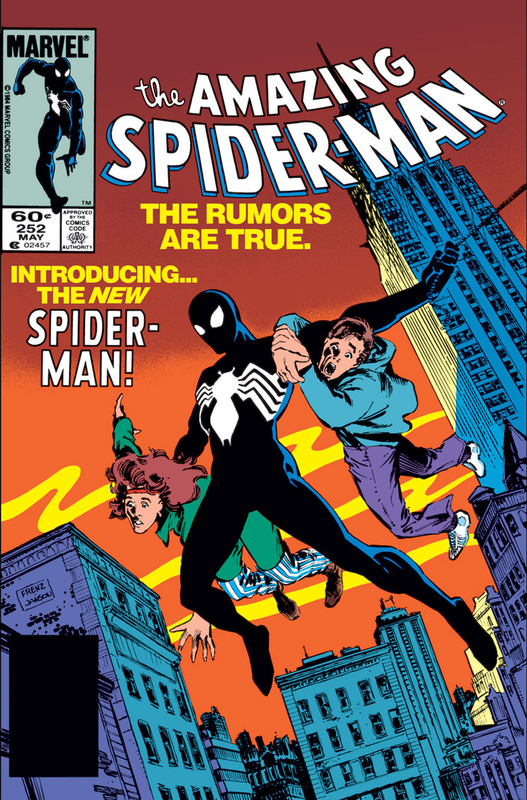 Originally, the black symbiote was a suit that Spider-Man picked up in Battle World during the Secret Wars special event. When Spider-Man realized the suit was altering his judgement and making him more violent he separated himself from it. Since, that time the Symbiote has often joined with men who wanted to battle Spider-Man to match its own feelings of hatred toward him. The Venom Symbiote was revealed to have been locked away on Battleworld by its own race because it was considered insane by them. The Symbiote wanted to fully commit to its host and keep them alive where as the rest of the Symbiote simply used up their hosts, killed them and moved onto the next. The next man to wear the suit was Eddie Brock. Eddie Brock was ex-reporter who blamed Spider-Man for losing his job. Eddie used body building as a method of dealing with his anger and stress though it was largely unsuccessful. The Symbiote feeling rejected by Spider-Man found a compatriot in Eddie. The Symbiote was able to give Eddie all of Spider-Man's powers plus extra strength. Additionally, the Symbiote could get around Spider-Man's spider sense. The joined together and began calling themselves Venom. Venom manages to defeat Spider-Man in battle in numerous occasions but never quite manages to kill him. The symbiote and Eddie evolve as it gains more knowledge. Eventually, Venom becomes something of a violent vigilante. Spider-Man and Venom begin finding themselves working together to protect innocent people. They also unite to fight the evil offspring of Venom, a violent symbiote called Carnage. Eddie and the Symbiote tire of each other leading the Symbiote to move onto additional hosts. For a time it uses the former Scorpion, Mac Gargan. Gargan even poses as a new Spider-Man on Norman Osborn's Dark Avengers team. Eventually, Gargan is incarcerated and separated from the Symbiote. The former high school bully of Peter Parker, Flash Thompson is the next man to wear the Symbiote. After highschool Thompson joins the army. Thompson is badly wounded and paralyzed from the waste down during his military service. 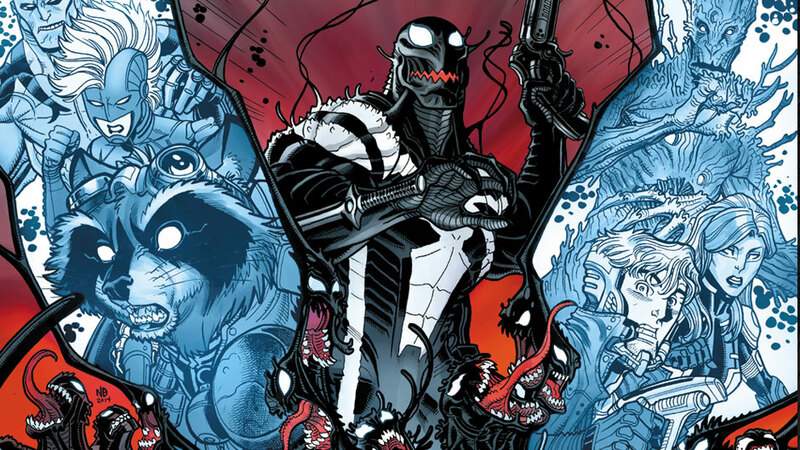 He is recruited into a government black ops unit that seeks a host to use the Venom Symbiote on. Putting on the Symbiote Thompson not only regains the ability to walk again but also the powers of his former hero Spider-Man. Thompson's Venom tends to have a more orderly, human appearance than the Gargan/Brock variation. 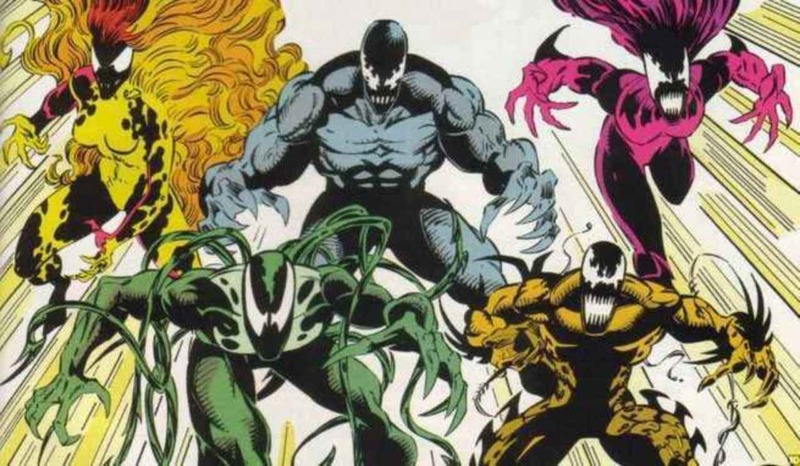 Venom joins the Guardians of the Galaxy replacing Iron Man as a Earth representative on the team. The Venom Symbiote joins with space pirate Lee Price. In April of 2017 Eddie Brock and the Venom symbiote will be reunited. 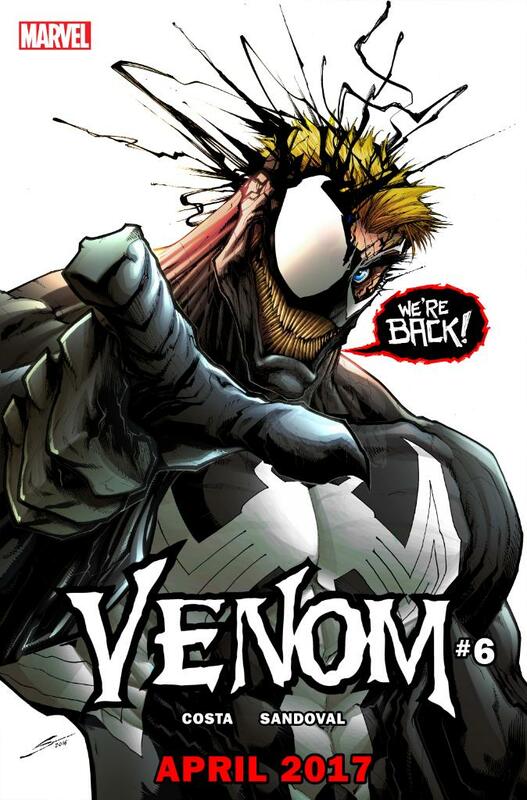 Venom will return as Eddie Brock in Venom #4 that will be renumbered to be Venom #150. The comic is being promoted as one of the biggest Venom stories ever. The Symbiote can shape shift and create shapes like spikes. Minor Telepathy which it allows it to communicate with its host. It can also use this to force and manipulate the host to do things that the Symbiote wants. The Symbiote retains a memory of Spider-Man's powers and is able to give later hosts similar powers. Wearers of the Symbiote can fire webbings, and swing just like Spider-Man. The Symbiote is also immune to the Spider-Sense ability meaning that Spider-Man must face a stronger version of himself without the use of his extra sense. The Symbiote has also been shown to be immune to certain supernatural forces. The Symbiote must generally be attached to a host to survive, though it has been shown to survive on short durations without one. SONY has announced a Venom motion picture that will star Tom Hardy as the Eddie Brock version of Venom. It is unclear if SONY's Venom will part of MCU but it will connect with Spider-Man: Homecoming. Actor Topher Grace played Venom in the film Spider-Man 3.